Background, possibilities and current state of local broadband provision for the Balquhidder, Lochearnhead & Strathyre area. Having finally got the health, safety and insurance bureaucracy out of the way, we’ve been able to get properly stuck in with the network dig. Now, there are a couple of ways of going about this: from picking the smallest, least disturbing tools possible and proceeding in a sensitive and non-disruptive manner, to throwing the biggest damn digger you can find at the job, on the principle that it won’t find anything it can’t handle. So guess which we went with? There’s clearly been (and remains) a bit of confusion about how we actually get our connection to the outside world, who provides it and where it actually goes. So the day when that fibre actually got installed to our cabinet seems like a good time to describe it. Showing that we’re a long, thin community. But we knew that. Like many other rural Scottish communities, our problem is geography: having a fairly small but highly dispersed population strung out along the loch sides and side glens. Our core funding from Community Broadband Scotland will cover the capital expenditure and setup for our external connection and at least the bulk of our costs for our backbone within the glen, which is great. 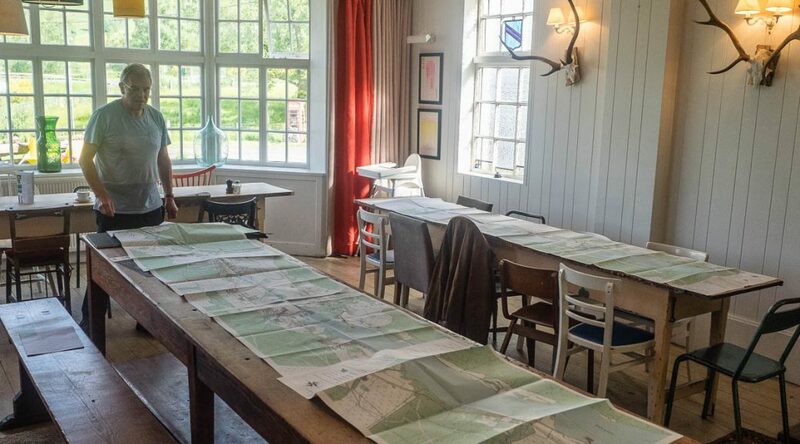 However, connecting the outlying clusters of properties (most of them farms) might be pushing the limits of available funding. 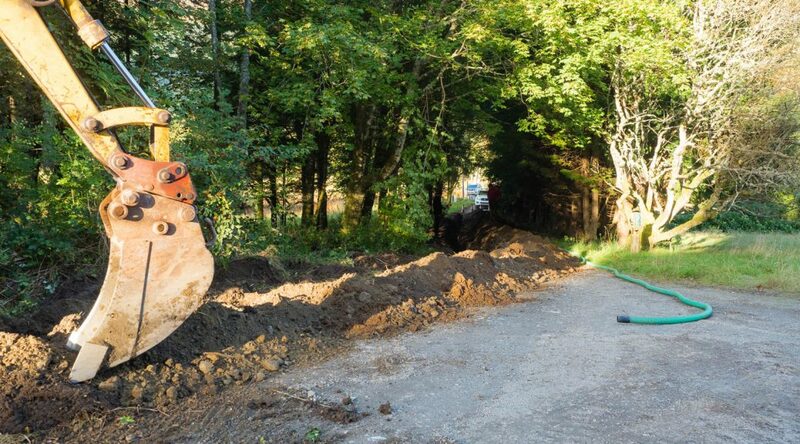 Our exercise of trying to squeeze a quart into a pint pot – bringing Gigabit-class fibre broadband to Balquhidder Glen at sustainable cost continues. However, another basic of twenty-teens life is coming to Balquhidder, this time after only moderate whinging from us locals. 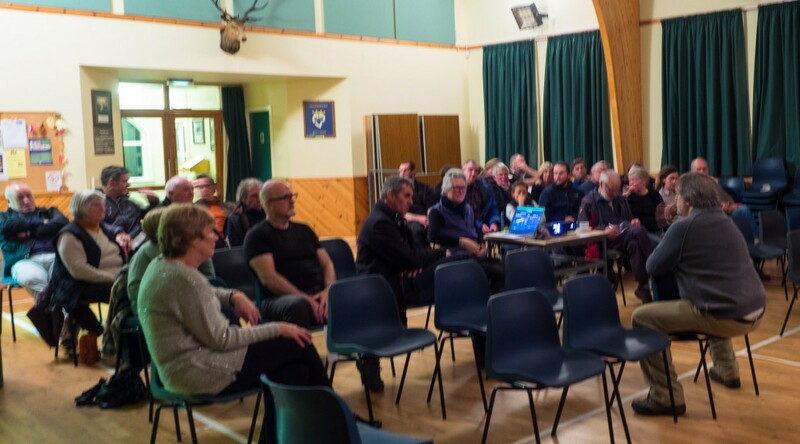 We have now set up a community email list for all those interested in the rollout and progress of Balquhidder Community Broadband: please go here if you’re interested in receiving news or asking questions. In light of the CBS funding for broadband provision to Balquhidder, we have now created a Community Interest Company (CIC) to contract, promote and support the local broadband service. Our remit is to provide Balquhidder and those surrounding areas not addressed by Digital Scotland’s rollout with broadband, as a minimum meeting the OFCOM and EU definition of Superfast BroadBand (SFBB) of 30 Mbps, matching the declared goal of the Scottish Government for “World Class” broadband services and being ‘future-proof’ as needs and services change. Right since I started using Tooway, my monitoring device (a RIPE Atlas monitor) has been recording periods of packet loss on the Tooway network. I’ve raised this several times with Avonline’s technical support but never received a meaningful answer, or indeed one that demonstrates that they understand the issues. Periods of packet loss do not appear to correlate with heavy precipitation. So, until proven otherwise, we have to assume that this is an inherent property of their service. So what does that mean?